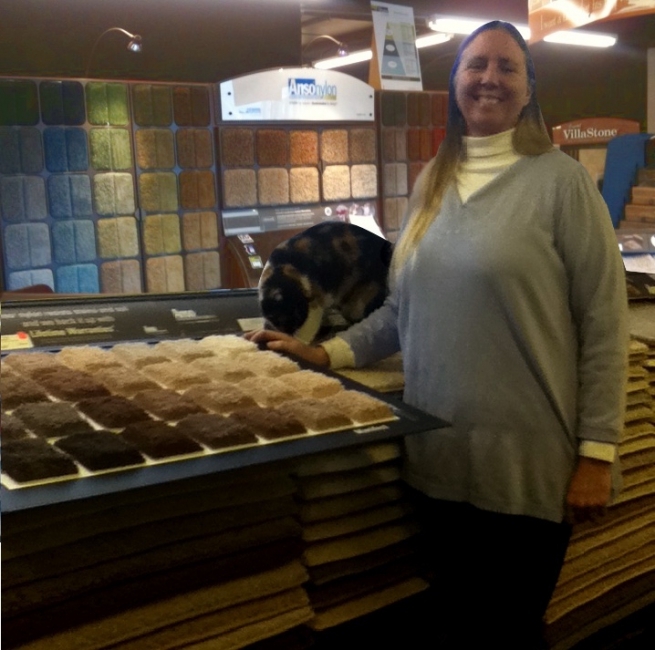 She is our lucky winner of 60sy of FREE Bliss Healthy Touch carpet from Beaulieu!Her home will be smelling fresh this holiday with her new carpet, you too could be a winner… Click to “like” us on Facebook today for your chance to win free carpet just like Barbara. Thank you to all our new Facebook fans! Area Floors has a large selection of flooring and counter top options for your home that are made in America, download our list! The team at Area Floors looks forward to helping you with all your flooring needs. Visit us at either our Tigard or Portland store locations for quality service, expert advice and great prices.